Glioma is a malignant brain tumor that accounts for 30% of all brain tumors and 80% of malignant brain tumors. This poor clinical outcome makes the study of molecular mechanisms in glioma as an urgent subject. However, the certain mechanism remains unclear. Long non-coding RNAs (lncRNAs) plays a key role in glioma development and progression. In the present study, we aimed to explore the potential mechanisms of lncRNA SNHG16 in glioma. The levels of lncRNA SNHG16 were qualified in both glioma tissues and cell lines using qRT-PCR assay. The ability of cell proliferation was tested via CCK-8 and colony formation assays. Transfections were performed to knockdown SNHG16 and its target gene p21. The cell cycles and cell apoptosis were evaluated using flow cytometry, and the expression of SNHG16, p21 and apoptosis biomarkers were qualified with qRT-PCR and western blot assays. The expression of SNHG16 were up-regulated in both glioma tissues and cell lines. Knockdown of SNHG16 was associated with poor proliferation, decreased monoclonal formation rates, but increased apoptosis rates, which also caused the high expression of p21. Moreover, p21 could mediate cell proliferation and monoclonal formation, promote cell apoptosis in glioma, which was negatively correlated with lncRNA SNHG16. The molecule mechanism experiments revealed that SNHG16 could not only inhibit the expression of p21 but also suppressed the level of caspase 3 and 9, while promoted cyclinD1 and cyclinB1 expression. 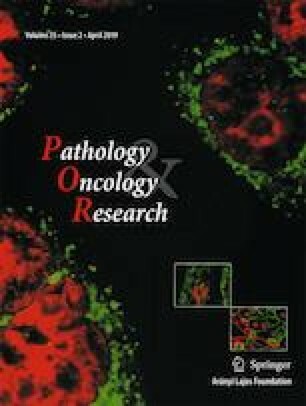 lncRNA SNHG16 could promote the cell proliferation and inhibit the apoptosis of glioma through suppressing p21, indicating that lncRNA SNHG16 might be quite vital for the diagnosis and progression of glioma and could even be a novel therapeutic target for glioma.